About Us. Custom Fiberglass International (CFI) has over 34 years experience in custom fiberglass fabrication. The FRP engineering and fabrication have ranged from the very simple to high tech laminations using composites and specialty resins. Nothing exhibits the design skill, fiberglass engineering and product production of CFI any better than the Isotope and Cheshire catamarans. These individualized catamarans are high tech performance sailboats. CFI has recently been selected to make over life sized replicas of the human intestinal tract for a Medical Research Corporation. Custom Fabrication. Custom fabrication represents a large part of CFI's business. The picture on the left, is a hanging chandelier located in the spacious atrium of a large luxury hotel in the Middle East. 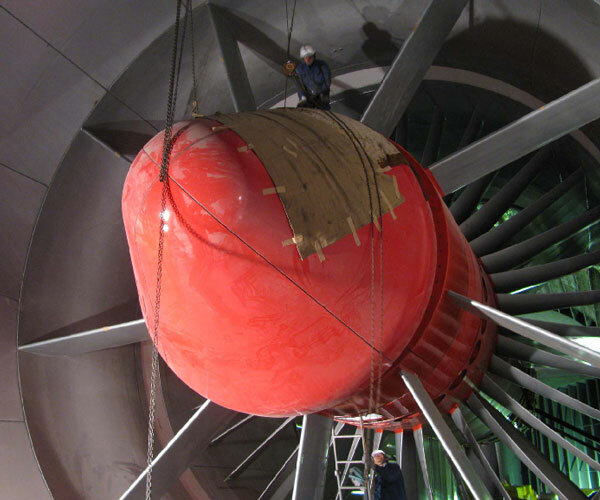 On the right is the nosecone of the wind tunnel at Honda's aerodynamic testing facility in Tokyo. View more of our recent custom projects including Jarrett Bay Sport Fishing Boat Hulls, custom furniture for Restaurants and Industrial custom fabrication projects. 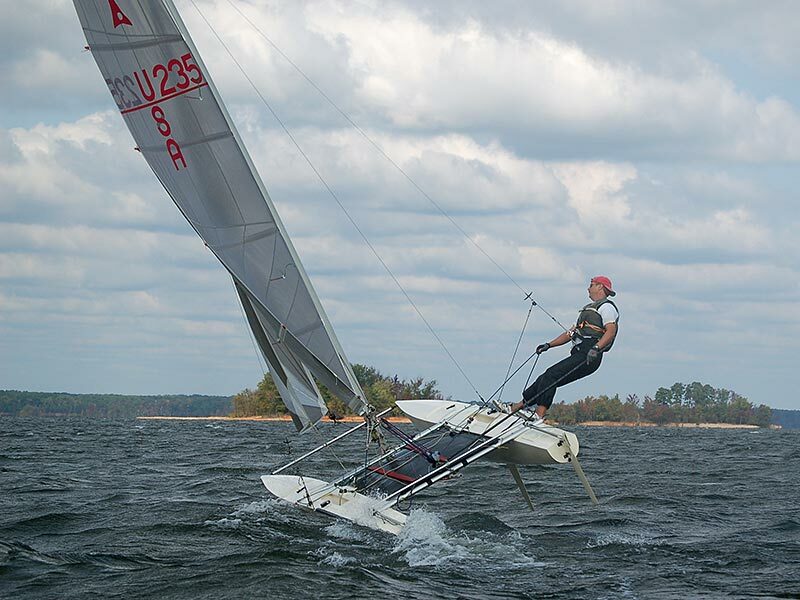 Alan Taylor won the 2017 Isotope National Championship at Lake Waccamaw. Catamarans - Sailing for Fun or Racing to Win. The Isotope and Cheshire Cats are designed by Frank Meldau, built by CFI and can be rigged, sailed and righted by one person. These are some of the fastest and most exciting racing sailboats on the water today. You will not find a more thrilling sailing experience than the Isotope and Chesire Catamarans. Get the latest Regatta information in Regatta Reports & Calendar of events. The video below was taken during an Isotope race at Kerr Lake, NC.